Ethelfleda, known as ‘The Lady of the Mercians’, was the daughter of Alfred the Great and sister of Edmund the Elder. Ethelfleda governed the Kingdom of Mercia from 913 – 918 AD leading attacks on the invading Danes. The statue of Ethelfleda was built for Tamworth’s Millenary Celebrations of 1913 marking the 1000th anniversary of when Ethelfleda freed Tamworth from the Danes and fortified the town. 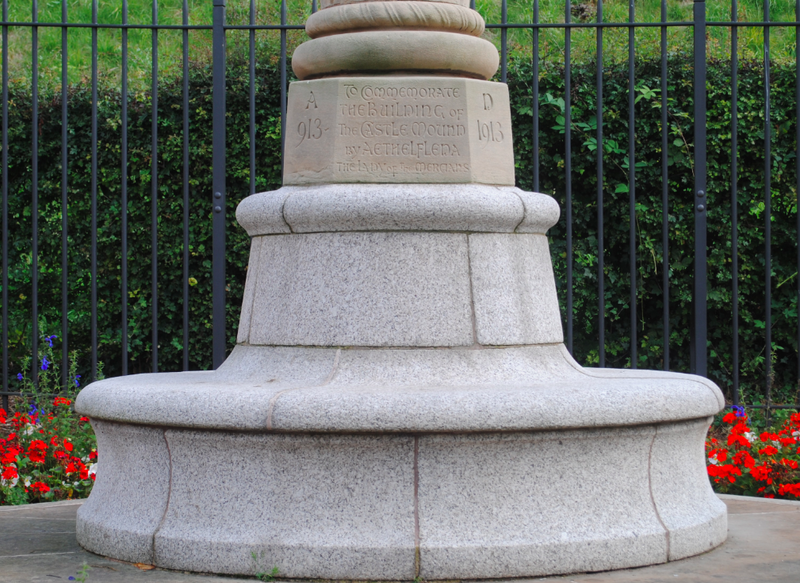 The monument is the work of the sculptor Edward George Bramwell and was the design of the stonemason Henry Mitchell. The column and plinth are granite with the statue sculpted from ashlar stone. The capital of the column details relief Anglo-Saxon knot-work with the statue of Ethelfreda depicted in Anglo-Saxon dress holding an unsheathed sword in her right hand. The child depicted is Aethelstan, the nephew of Ethelfreda, who would later become king. The pedestal consists of a circular base and bench supporting the inscribed octagonal base of a column decorated with a spiralling line. 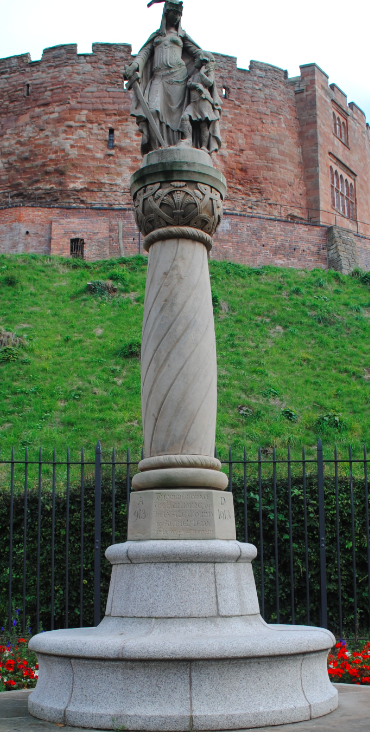 Unveiled by Earl and Countess Ferrers, the Ethelfleda monument is Grade II Listed.